The Very Dangerous Preservative used in Fish Meal – Ethoxyquin and why you should stop feeding your dog any product that contains fish meal. It is very important to understand that when provided in the right quantity – fatty fish (i.e. herring, mackerel, menhaden, salmon, sardines, sprat), are an excellent source of protein and omega 3 fatty acids. On a daily basis, my dogs each get a small piece of fatty fish; however this fish represents only a small percentage of their daily food intake. They use whole fish that cannot be used to produce human-grade food – i.e. the fish was dead, diseased or dying when harvested. Fish meal is made from fish harvested for that specific purpose – i.e. herring, menhaden, pollack, etc. Taking advantage of the growing number of dogs that are acquiring food sensitivities to more typical protein sources (like beef and chicken) which are full of toxins (growth hormones, antibiotics). Also unless the label on the food says otherwise is from dead, diseased, dying or disabled (4D) animals. In other words – the pet food industry is not introducing fish into your dog’s diet for your dog’s health but instead to make a tidy profit regardless of the health cost to your dog. Having advised many client’s about truly nutritional and safe diets for their dog’s I have had a lot of opportunity to hear the expectations of those loving humans who try to provide the best for their dogs. I have heard so many say ‘but the pet store staff told us this was a good product’ or ‘the label says Omega Fatty Acids, and this is an expensive-to-purchase kibble so we thought it really did meet nutritional requirements for our dog’s daily intake of Omega Fatty Acids’. I then walk them through the ‘rip-off’. Most consumers have absolutely no idea what is the correct ratio of Omega 3:6. They also do not know the serious impact on their dog’s health of an non-balanced intake. The manufacturers know that the typical consumer is not well-informed regarding this issue – and take advantage they do – big time. Despite the fact that manufacturers are leveraging the idea of great health via the provision of Omega Fatty Acids, I have not seen one dog food – including fish-based kibbles, that provide a proper balance of Omega 3 to Omega 6 Fatty Acids. The ratio should be in the range of 2:1 for Omega-3 to Omega-6. Meaning for every 1 part of Omega 6 there should be 2 parts Omega 3. 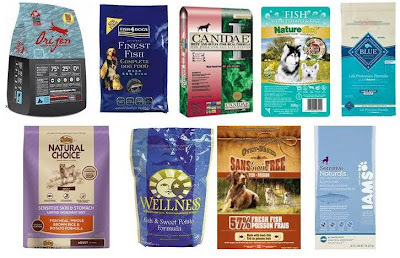 Commercially made dog food is – in every product I have looked at to date, in direct opposition to this essential balance. If you look at a dog food kibble label you will find copious amounts of Omega 6 and in comparison an infinitesimal amount of Omega 3. An out-of-balance ratio can disrupt the balance of pro and anti-inflammatory agents in the body resulting in chronic inflammation and elevation of the risk of health issues such as allergies, arthritis, diabetes and more – to understand more about the benefits and risks read more here. So what does this have to do with fish? Well almost all fish meal used in dog and cat food contains Ethoxyquin. Ethoxyquin is used as a preservative in pet foods to prevent the (further) rancidification of fats. It should be noted that much of the meat and fat used in pet food is rancid prior to being processed into the kibble as the ingredients used may be waste that cannot be used in human grade food processing). Ethoxyquin isan anti-oxidant used as a food preservative and a pesticide (called ‘Stop-Scald’). It is listed and identified as a hazardous chemical by OHSA. It has a rating of 3 on a scale of 1 to 6; with 6 indicating super-toxicity and requiring less than 7 drops to cause death. The containers that Ethoxyquin is stored and shipped in are marked with the word/symbol ‘POISON’. The US Department of Agriculture lists and controls Ethoxyquin as a pesticide. The FDA has mandated that Ethoxyquin is no longer legal for use in human food – with the exception of some spices. The use of Ethoxyquin remains legal for use in animal grade food. Sixteen plus years ago, on August 14, 1997 the FDA issued a statement (you can read it here) in which the FDA reveals that on July 31, 1997 the FDA advised manufacturers and trade associations for the pet food industry regarding serious issues over the assumed ‘safe’ dosage of Ethoxyquin as related back to the FDA’s ‘voluntary’ request to pet food manufacturers to lower the level of this very toxic chemical in the making of dog food. A year and a half ago, on May 25, 2012 the FDA’s Center for Veterinary Medicine (CVM) issued another notice – this one to remind the industry about the labelling and use requirements for Ethoxyquin. You can read it here. Suffice it to say that Ethoxyquin is a seriously dangerous substance – banned from human consumption due to its grave and lethal dangers. It should be banned from dog and cat (as well as other animal) food, but to date it has not been. Monsanto the company responsible for lies and conceits, for damaging the environment and the food chain – with their (Monsanto’s) bevy of toxic pesticides and herbicides – with their round-up ready Genetically Modified seeds, knows how to keep their products from being banned…no matter what the cost to human and non human animals, and the environment. Monsanto are after all the masters of greed for profit, regardless of the cost to the health of living beings and ultimately the planet. 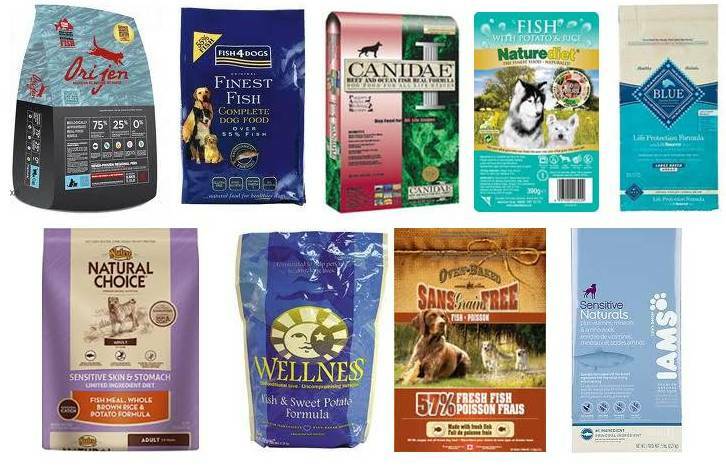 So, if you are feeding your dog or cat ANY product that contains fish meal – unless the manufacturer clearly states that the product is ethoxyquin-free, throw it in the garbage! And, in complete contrast to the pet food industry’s intent for your dog – let me just say… this article is for the true health of your dog! And by the way if you have not had previous exposure to the evils of Monsanto – you can get a crash course by reading here. You will see the importance and impact to your health as well. And then you will understand why I sign every petition I can against GMO and the evils of Monsanto. Sorry again for the large lag time in response between posts — I usually have a busy work week and don’t want to do e-mail in between (mid-week is my weekend!). Thank you again so much for the very detailed responses — I appreciate the clarification on all those points and they make sense. Again, I’ve decided that I’ve fed Frida enough fish-based kibble and we’re done with that. I’ve yet to go out and buy fish but will look at that soon, although I’ve occasionally given her a small piece of salmon that I’ve saved from dinner (sans any butters/sauces). I’ve heard people feeding their dogs sardines, hearing that it’s one of the least risky fish in terms of mercury. As for mixing proteins — I do mix proteins — I’ll give her fresh chicken and/or a canned food with some other protein, combined with the EVO Red Meat. I just don’t like having the kibble itself with so many different things in it because I like to have a little bit more control over the frequencies of certain protein sources. Again, right now, I couldn’t be happier with the EVO Red Meat in terms of energy, coat, and stools. But I’m probably not going to be using their Salmon & Herring or Chicken/Turkey kibbles. I did recently come upon Timberwolf Organics which is (a) not easily found, and (b) expensive. But excellent ingredients. Thanks again — great conversation! Because of your blog post, I removed fish kibble from my dog’s diet immediately. The effect of that has been interesting: her stools have become much more normal-formed and stable. So, what I’m wanting to get clarified from you: are you saying that, no matter what a company says, if it’s fish meal it definitely has ethoxyquin? 2. You said the sunflower oil is GMO. But I did some research and according to this GMO-focused website — http://www.gmo-compass.org/eng/database/ingredients/180.sunflower_oil.html — it writes in its profile of sunflower oil: “Possible use of GM technology: None to date.” But from your research, do you find that is not entirely true? I did see on the site, however, that canola oil is a definite danger. 3. You say you’re not a fan of EVO, and agreed, you have to question the peas in their Salmon & Herring formula — but I am solely now using EVO’s Red Meat formula, and my dog is doing great on it. Here are the top 8 ingredients: Beef, Lamb Meal, Potatoes, Eggs, Sunflower Oil, Buffalo, Lamb, Venison. Although I do ‘get it’ as far as what you say about potatoes, but my dog seems to do better on kibble with potatoes than ones with peas, or with any grains. 4. Making my own dog food: I’m one of those people in a living situation where I logistically cannot do that — and I should add here that I may have forgotten to mention in my prior post that I do not feed her SOLELY dry kibble — I do not think that is a good idea — I feed her a kibble/wet food combo, and I throw in fresh chicken (I do not like poultry-based kibble either, by the way — doesn’t do well with her system). 5. Acana Wild Prairie — I do think Orijen/Acana is a quality product and I actually did feed my dog that a few years ago until I moved to the Bay Area and the cost was just too exorbitant. But, that has chicken meal which, as I said, is no good for my dog. I also question putting so many different protein sources into one kibble. I have no problem with the various red meats together, as in the EVO Red Meat, or different poultry together, for example. But mixing red meat with poultry and/or with fish in a kibble – is that actually ok? After feeding her kibble like that for years, now I’m bothered by it. But there is also something else about Orijen and Acana that I never questioned before, but I do now: mercury. Walleye, for one, is a high mercury fish and they use that in a lot of their formulas. Orijen’s own fish meal does list three specific fish (whereas most companies don’t even do that), but some of those include pike and lake whitefish, two fish that I’ve seen in some reports to be high in mercury. Other than their Acana Singles (single protein source), I believe that all of their other formulas contain at least one fish protein. I hope you don’t me furthering the discussion this way, but this topic bears more enlightenment, discussion and revelation, and I appreciate your starting the conversation, because fish kibble is definitely the ‘fashionable’ thing to do in dog food these days. Does All Fish Meal Contain Ethoxyquin? No, as noted in the blog article above, ‘almost all fish meal contains ethoxyquin’, not all. If they can prove without a doubt that their product never contains ethyoxy I would say ‘fantastic’. The problem with that is how do they prove it and what is their quality and assurance control process? Does their supplier(s) of fish meal have fool-proof quality control and assurance process? What is that process of checks and balances and how strictly is it adhered to? Here is an example that can be drawn upon in the human food chain…the recent scandal in the UK regarding horse meat in products that are not ‘supposed’ to contain horse meat. The issue is much worse in the animal feed side of things as there are substantially less regulations than in human food production. At the end of the day you must either decide to put your trust in the manufactures claim or not. Having seen so many stunts pulled by dog food manufacturers I just don’t feel comfortable assuming that what they claim is 100% true. Why take the chance? At the end of the day it is the consumer’s responsibility to be beware and informed or fall victim to unregulated, unenforced practices. Really? Semantics again…so was the feed (that the animals/farmed fish who subsequently become the source of protein for the dog food) fed prior to slaughter free of growth hormones, antibiotics, preservatives and other additives? Was the water that they drank or swam in free of such contaminates as well? So yes manufacturers you may not be adding additional substances directly to the food, but are some of those substances already present before the raw ingredient is added to your recipe? Or are the protein sources from free range organic, or controlled organic fish farms? Did you also screen the fish for aflatoxins? It is not as simple as the manufacturer would like you to think it is. In my articles I always state that the majority of soy, corn, safflower, sunflower, canola, cottonseed in North America are from Round-up Ready GMO seeds. The only vegetable oils that can be considered as not GM food products are those that are specifically labelled as organic or Non-GMO. Potatoes are good. Sweet potatoes are even better than potatoes. Grain is not good at all. Potatoes and sweet potatoes are added as a convenient source of carbohydrates and in the case of sweet potatoes a rich source of nutrients. Green peas are about 28% protein, peas are added for their high protein levels, many nutrients and they are a starchy carbohydrate. They are a cheaper source of protein than meat. Caution – If your dog has Pancreatitis you don’t want your dog consuming peas or pea by products as peas are high in purine. I give my dogs (on a daily basis) chicken, a small portion of whole cooked fish and a little cooked liver. They also eat cottage cheese, yogurt and cheddar cheese every day. My dogs eat mixed protein. Mixing proteins can be a problem if your dog has food sensitivities – the problem being that you may need to identify which protein your dog is sensitive or in some cases allergic to. So if your dog has never had such issues you should not have a problem. Just as with our human diets – we are told to watch our weekly intake of certain fish – i.e. tuna that may be relatively high in mercury, the same would apply to out dogs. For whole fish that may be higher in mercury you definitely do not want to see that fish listened high up on your dog’s kibble ingredient list. Excellent post! I had gotten on the fish-based kibble bandwagon and fed my dog Wellness CORE Ocean, twice a day (with canned mixed in), for at least a year, possibly more. Last June she got a malignant tumor, hemangiosarcoma, which our new and excellent vet discovered under her jaw, but not connected to the bone. We got it removed, clean edges, and so far with the two quarterly cancer screenings, she is tumor-free. But, of course, you wonder where that came from, and there could be a dozen or more reasons (over-vaccinating, treats from China, toxins in water, etc., etc.) — but definitely another thought was the fish kibble, either an accumulation of mercury, or other dioxins, as you suggest. I decided to go back to what I had done originally — feeding her a meat- or poultry-based kibble for 3 or 4 days and then just one day of fish kibble, so that the fish is only once or twice a week. I did a bunch of research and I also wanted to make sure that she was getting fish kibble with the least amount of offensive fish. Wellness CORE lists “whitefish” as its first ingredient. The term whitefish is a bit hazy — is it the actual fish called Whitefish, or is it the generic term for a mix of different white fish? Ironically, the ‘cream of the crop’ of dog foods, Orijen/Acana, their fish-based kibble contains lots of different fish and some of it has been reported to actually have high mercury, such as walleye, and in their “whitefish meal” halibut and cod, which are a bit lower on the mercury scale, but still more than herring, salmon, etc. Wellness CORE also has has Menhaden, which I’ve heard varying reports on; but one proven fact is that the harvesting of that fish off the Atlantic Coast is severely disrupting the food chain of larger fish. Menhaden feels like a “corporate” fish. I’m still figuring out which fish kibble to rotate in — although I may take your advice and just do away with fish kibble from now on and give her fresh fish instead. But I did want to point out one thing: you mention about the disparity in ratios of Omega 6 & 3, with most kibble formulations favoring 6 and not enough 3. Of all the fish-based kibble I’ve researched, I’ve actually found ONE that would seem to be much better than all the rest — and DOES contain more Omega 3 than 6 — almost by a 2:1 ratio: EVO Herring & Salmon. Not only does it have that, but it doesn’t mix in a ton of other fish, it’s just herring & salmon. And then it doesn’t mix in a ton of other ingredients (such as a plethora of fruits & vegetables) it keeps things simple. So, I’m trying that now, and actually rotating that with another EVO product, Red Meat. I’m still in the testing phase with it, and not entirely sure I’m going to stick with it because of varying results with her stool. The one thing that the Herring & Salmon formula has that may be of concern is that it uses peas instead of potatoes for the binding process. Some would say that’s good, that that’s much better than potatoes. But the Red Meat formula, which uses potatoes and not peas at all, seems to produce better-formed stools. I’m wondering if there is just too much peas. I had also tried Earthborn Holistics formula with bison, which also had a lot of peas, and she didn’t do well on that at all. So, again, I do very much appreciate your viewpoint and I’m going to seriously consider all of your points in making my decision on her kibble going forward.